Commonage Villa 3 is a wonderfully luxurious and spacious villa reflecting the alpine environment of Queenstown and its surrounds. Beautifully appointed it offers stunning views and is located close to the centre of town. As part of the Commonage Villa complex, Villa 3 is located on the top row of the 14 superbly styled residences. Spread over three levels it offers three generous bedrooms, two ensuite bathrooms, an additional bathroom and guest toilet. The views enjoyed from the comforts of the large master bedroom are simply second to none. Featuring a generous open plan living, dining and kitchen area means Commonage Villa 3 is perfect for entertaining. A schist stone fireplace and underfloor heating will add to the comforts in the cooler months. A secure double garage and lift access to all levels adds convenience to this gorgeous home. 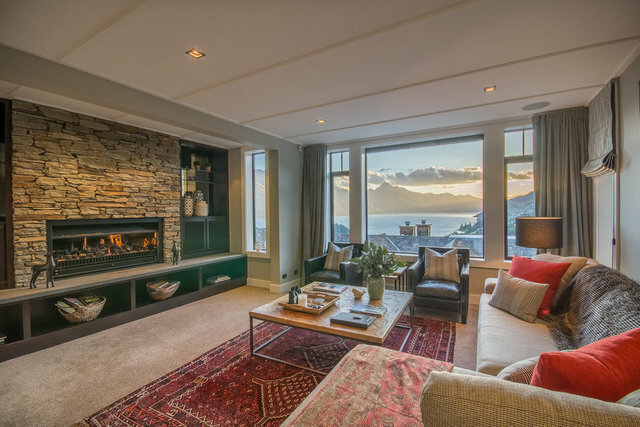 A fantastic location combined with stunning decor will provide you with a truly memorable stay in Queenstown.